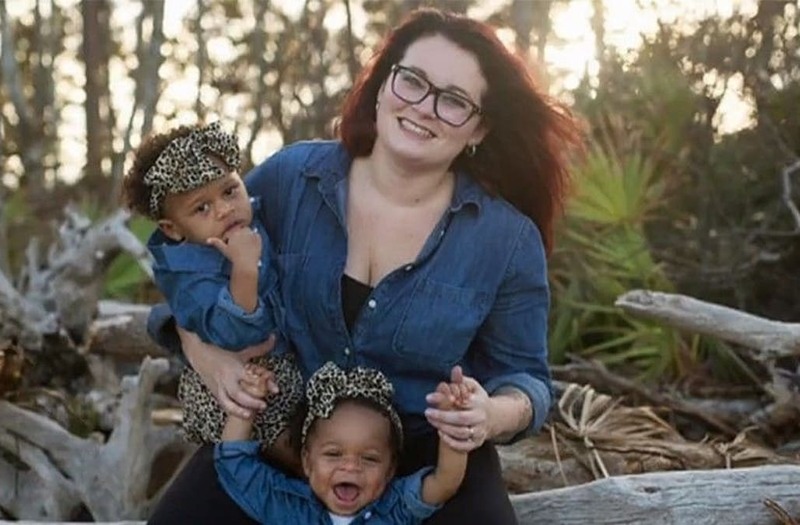 A Florida nurse who cared for two severely abused twin toddlers adopted both of the children, giving the young girls a new start to their difficult life. Jess Hamm first met 14-month-old Delilah when the child and her twin sister, Caroline, were admitted to the pediatric intensive care unit at Wolfson Children’s Hospital in Jacksonville for non-accidental trauma, according to Fox News. Delilah suffered broken bones, a skull fracture and severe malnourishment, which left her so weak she could barely sit up. "My heart was broken. I don’t want to cry. She was just so lifeless, but she still held onto my finger," Hamm told WFOX. "I was like ‘oh my gosh, I’m going to take her home." When Hamm began to formally pursue adopting Delilah through the Florida Department of Children and Families, she learned that her future daughter had a twin sister who was also in the hospital. Instantly, Hamm said she knew she wanted to adopt both of the girls and provide them with a loving home. Jess Hamm first met 14-month-old Delilah when the child and her twin sister, Caroline, were admitted to the pediatric intensive care unit at Wolfson Children’s Hospital in Jacksonville for non-accidental trauma. "My heart was broken. I don’t want to cry. She was just so lifeless, but she still held onto my finger," Hamm said. "I was like ‘oh my gosh, I’m going to take her home." When Hamm began to formally pursue adopting Delilah through the Florida Department of Children and Families, she learned that her future daughter had a twin sister, who was also in the hospital. Instantly, Hamm said she knew she wanted to adopt both of the girls and provide them with a loving home. Hamm said that although she always wanted to be a mom, she never knew adoption was the right choice for her until she met Delilah and Caroline. "I hope when people hear my story it opens them up to the possibilities of adopting," she said.